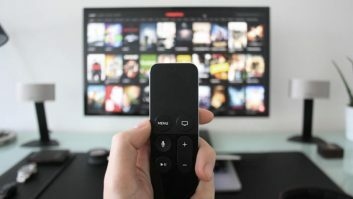 A new report from YouGov Germany has found that 70 per cent of the country’s millennials watch content via a streaming service, be that Netflix, Amazon, Sky Go, or streaming services from broadcasters ARD or ZDF. According to the company’s Battle of Streaming Providers report, 52 per cent of viewers aged 35 or older also use streaming services. YouGov said that Netflix benefits the most from the move to streaming. In 2015, just under three per cent of 18- to 34-year-old Germans said they would use Netflix at least once a week. That figure has risen to 33 per cent in 2019. In comparison, Amazon Prime Video saw an increase in popularity with older viewers. In 2015, three per cent of viewers aged 35+ said they were regular users, compared to 20 per cent in 2019. Comparing the various streaming platforms in terms of the formats used, 82 per cent of millennials said they would use Netflix to stream series. A further 76 per cent also watch TV series on Amazon Prime Video. For films, the two streaming services are the same (Netflix: 80 per cent, Amazon Prime Video: 79 per cent).